For years we’ve been told to avoid salt at all cost, and more recently there has even been talk about government stepping to regulate its use in the food industry, (more government regulations, just what we need). From the research I’ve found looking into this topic, it appears that the results are not quite as conclusive as the warnings would indicate and that the evidence pointing to the health risks posed by salt is flimsy at best. Please read the full New York Times June 2, 2012 oped as well as the Weston Price Foundation article for a more accurate picture of salt and its role in our overall wellbeing. This is reminiscent of the scam issue we faced with trans-fats where the food industry was able to convince mainstream health agencies that transfats were a healthy option, when all along, it was the transfats that were responsible for the health risks the food industry was accusing saturated fats of causing ie. high cholesterol, heart disease… Though this time the food industry is not behind the salt reduction campaign (this cheap imitation salt is far too useful to them), health organizations seem similarly willing to buy into preliminary research and are jumping to conclusions full force. They have latched on to the demonization of salt as a whole and the belief that it must be severely restricted. And it doesn’t appear they will be letting this go any time soon. Salt has been a treasured commodity for thousands of years and there is a very good reason for this – OUR BODIES NEED IT TO SURVIVE. Salt is needed for a number of the crucial functions our bodies perform everyday. It should be noted here that the salt referred to in the studies is table salt or iodized salt, the lowest quality salt available (and coincidentally, also the cheapest salt). This is the type of salt used by the food industry, which apparently serves a number of purposes including acting as a preservative as well as intensifying the flavor of foods which masks less pleasant flavors in processed foods. It is estimated that 75 to 80% of salt in the average American’s diet comes from processed foods . 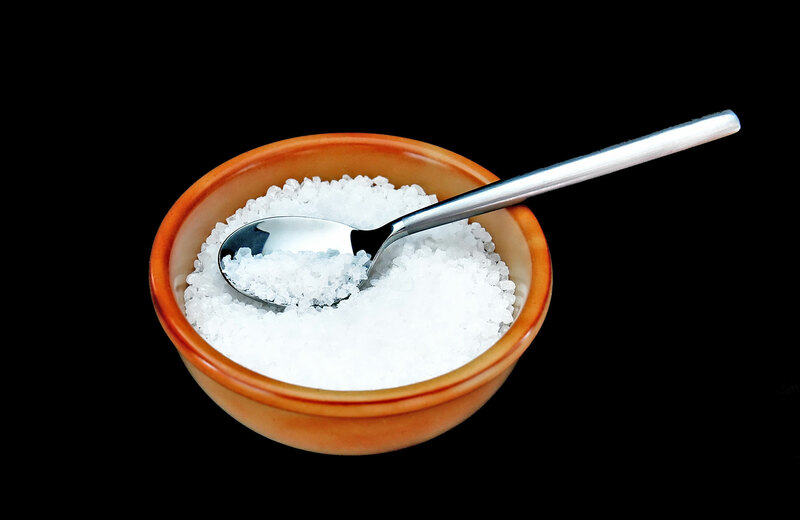 The health agencies in questions could better spend their time by looking into the differences between table salt, which is used in significant quantities by the food industry (Sodium Chloride) and the natural unprocessed salts (Sodium). Given mainstream media and the mainstream medical community’s track record, it really is up to each one of us to individually remain vigilant about the various health claims made and educate ourselves in order to get to the real truth. Our Flavors of Summer giveaway is now underway! Summer is in full swing and we’re beginning to see the garden fresh fruit and vegetables popping up at local stands and farmer’s markets. 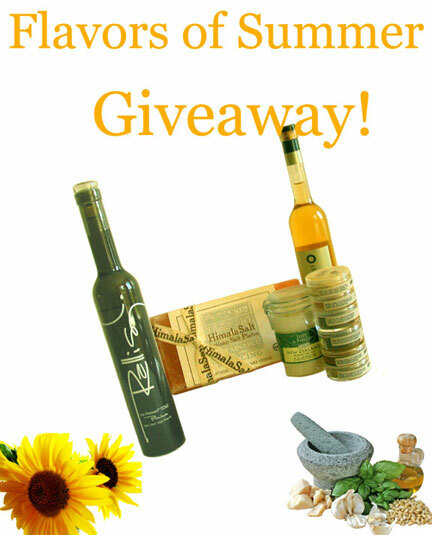 We’ve included in our Giveaway, all the essentials that will help bring out all of those amazing flavors. Our featured item is a bottle of Organic Icepressed Rallis Olive Oil, and also includes Organic New Zealand Sea Salt, an Artisan Pepper Collection, a bottle of O Champagne Vinegar and a Pink Himalayan Salt Sushi Plate. Perfect for summer entertaining. One of our goals is to bring attention to both the low quality of ingredients that have been made available to us and the impact these can have on our health as well as to provide access to high quality ingredients, exotic ingredients and superfoods that not only have a superior flavor but also contain actual nutrients that are bodies are craving. As any great chef will tell you, the flavor of an culinary creation depends on the quality of the ingredients used. At Fresh Unlimited, we believe that GMO-free ingredients, that are also free of synthetic chemical pesticide and herbicide residues, and that have been grown in mineral rich soils should always be the starting point. 76% in Asia and 85% in North America. As a result the large majority of us are extremely deficient in a number of key nutrients that are critical to our wellbeing. Luckily, there there are some producers out there who have a passion for what they do and will not in anyway compromise their beliefs. The result is authentic, high quality ingredients that provide the full flavor we seek along with the nutrients we so desperately lack. Our featured product, Organic Icepressed Rallis Olive Oil exemplifies all of these high standards resulting in a truly authentic Olive Oil bursting with flavor and nutrients. It is these type of high quality ingredients we want to make available to our customers. 1 Pink Himalayan Salt Sushi Plate (4 x 8 x 1 1/4) (sustainably sourced, mineral rich, perfect for entertaining, will hold sushi, sushimi, hors d’oeuvres, fruit, vegetables, cheese etc… to absorb some of the rich mineral salt). To enter: Simply visit Fresh Unlimited’s Facebook Page, click on the Giveaway Offer Tab, and if you haven’t already done so, click the “Like” button. Then, just leave a comment about your favorite way to enjoy Olive Oil. (All recipes and pictures are welcome). The winner will be selected in a random draw on August 5th, 2012. (Open to anyone with a Canada or USA address). For more information on Icepressed Rallis Olive Oil, see our video here.